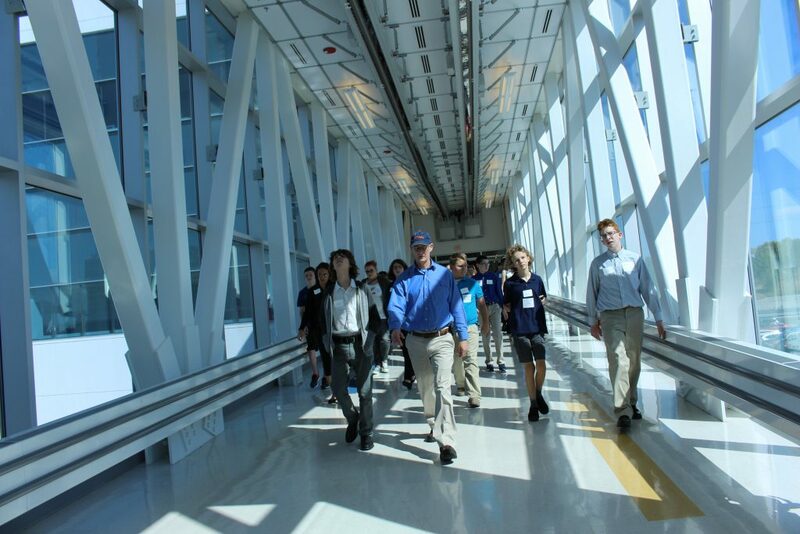 Freshmen toured SUNY Polytechnic Institute during their first day of school Wednesday, Sept. 7. Tech Valley High School welcomed students for the first day of the 2016-17 school year this week, featuring a crash course in business etiquette, field work at the state’s highest court and networking with professionals. Freshmen attended orientation on Wednesday, a day ahead of the rest of the school. They collaborated in teams to create presentations for their cool tech summer projects, toured SUNY Polytechnic Institute, and heard a presentation from Business Alliance member Susan Bardack of Buzz Media Solutions, who talked about her connections to the school. The freshmen also got a lesson in business etiquette, including how to send a professional email, the dos and don’ts of a good handshake, and dressing for success. Grades 10-12 had their first day Thursday, Sept. 8. With everyone back to school, students spent time in their multi-grade advisories and practiced using Google apps and the new Echo system. The day ended with an all-school meeting that featured guest speaker Erin Fria, the general manager of industry and strategy at Intel. He talked about engineering, the importance of collaboration and critical thinking, and the nature of the cutting-edge research that is being done yards from TVHS on the SUNY Polytechnic Institute campus. The 11th grade Inventing America class did field work at the New York State Court of Appeals. Students received a tour and observed several court proceedings. This trip introduced the integrated English/history course’s first project, in which students will explore the founding of this country and its ability to uphold the values of our nation through the court system.